Partners | Putnam Fuel Company, Inc.
We know that all it takes is one person to make a difference, but in our case, we’re grateful to have harnessed the power of dozens of area residents and businesses, all working hard to help us make our outreach campaign a success. Sure, some may not be listed here, but you know who you are – and we thank you! View below to meet many of them now and watch for them at our next event. Oh and one thing – if you see them, tell them thanks, because none of us could do this without their help and support. It’s a team effort. Nestled conveniently in downtown Goffstown, NH – Goffstown Ace hardware and their General Manager – Karen Henderson decided to get involved in our outreach program because, according to Henderson, “This is a very unique approach to contributing to a worthy cause that effects every community in a valuable and sustaining way.” It's a mission the thriving hardware and supplies store has always held dear to their heart and mission. A big thanks from the team at Putnam Fuel for handing out all those bag stuffers! Wow, we gave them thousands of 'em. By the way, for the first 50 who mention this campaign to Ace Hardware, they will donate $5 to our campaign for the Salvation Army! Thanks Karen! 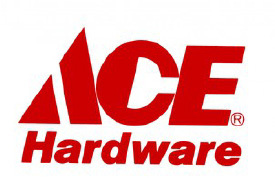 At Ace Hardware we are committed to always helping our customers find what they are looking for. And, we will continue to offer hard-to-find products, small niche products that are not available everywhere, and will also do everything we can to find what our customers need. With a wide selection of over 65,000 products – you’ll be hard pressed to NOT find what you want. Tom Roche of Aubuchon Hardware in Bedford, NH was thrilled to share his support for our More Energy For Family Moments outreach campaign. As a Putnam Fuel campaign partner, they handed out loads of flyers and promised to get involved as this and other campaigns continue to evolve. Need tools, paint and supplies – or anything else for home improvements, repairs… you name it? They've been there for us for years. Shop small and local and give these guys a shout. After meeting with Ed Murphy – the Manager at Harvest Market – he told us that they were 100% on board with helping us make a difference with this campaign. Murphy had this to say, “When we heard about the program, it was kind of a no brainer. As a community oriented campaign, we’re all about local and supporting the community. It’s just a great fit for what we do!” To that end, Harvest Market has pledged to hand out 10,000 flyers in bags so the community can find out more about how to get involved with this campaign. 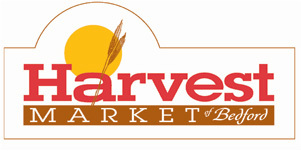 At Harvest Markets, we're dedicated and committed to making sure you Get it Fresh, Friendly, Fast! » Fresh… You can always count on the freshest top quality. We guarantee it or double your money back! » Friendly… "Friendly Service" are not just words, it's our way of doing business. Get the kind of service you deserve! » Fast… From the time you enter our store until the time you check out, we'll do everything to make your shopping experience as memorable and as quick as possible. During the Holidays and all year long, you'll find the finest quality foods for fabulous entertaining and every day meals at locally owned and operated Harvest Markets. Goffstown’s full service grocer offers both an impressive selection of products and meats and takes an active interest in helping bring the community together as well. Sully's Superette was started in 1937 by John and Lillian Sullivan. It has remained a family business and is now operated by their grandson John. The original location was on South Main Street in Manchester, NH. The business expanded in 1987 to a second location in Goffstown, NH. The original location was eventually closed and the Goffstown location continues to carry on the family tradition. Special thanks to the new management team at Sully's for handing out boxes of campaign flyers for our campiagn! It's much appreciated as we all work to creating more energy for family moments. This is just the beginning! Stand by for more events sponsored by Putnam Fuel and their team of supporting area businesses. A community favorite in Goffstown, NH and also a popular family dining destination for area towns, Putnam’s Waterview Restaurant offers a menu that’s well known and appreciated by their patrons! According to Patti Putnam, this family business, flanked by it’s sister restaurant – Sawyer’s – just down the street, is much more than just our menu. Patty had this message to share about their involvement in the community and also this outreach campaign. “We are very involved with kids, school and community events – and in line with that we’d like to find more ways to be involved through this Energy For Family Moments Outreach Campaign.” Thanks again Patty for becoming an early adopter of the program and helping get the word out so readily. It's early in the year, so we'll look forward to joining you and the other business supporters to put together more programs to help those in need, bring families together and create more energy for family moments this year and in years to come!